London's Deputy Mayor for Transport, Val Shawcross, officially opened a new bus station in West Croydon on the 12th October. The station, which cost £4.5m, has been completely rebuilt with an open, pedestrian-friendly layout, and 21% increased capacity. The station will serve 25 bus routes and 150 buses per hour at peak times, with 23,000 passengers able to use it every day. Situated on the site of the previous station, it will provide close links to the London Overground station and Tram station. Val Shawcross, Deputy Mayor for Transport, said: 'I'm delighted that West Croydon has a new bus station to be proud of. Gareth Powell, TfL's Director of Strategy and Contracted Services, Surface Transport, said: 'The new bus station will provide customers with a safer, more accessible and congenial environment and play a key part in the redevelopment of Croydon town centre. 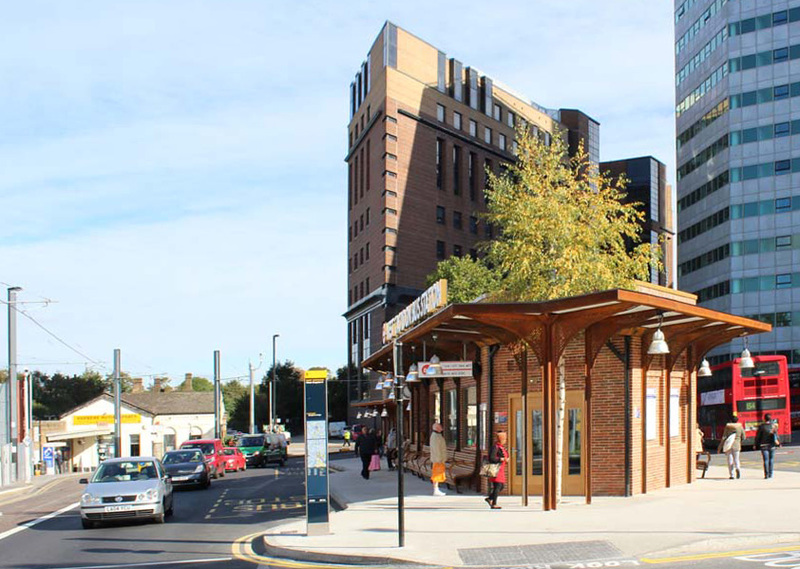 Councillor Stuart King, cabinet member for transport and environment, said: 'It's fantastic to see West Croydon bus station re-built, modernised and given the makeover it deserves. 'West Croydon is hugely significant to us as a major transport hub and gateway to our town centre, so this is a really important regeneration milestone for Croydon. 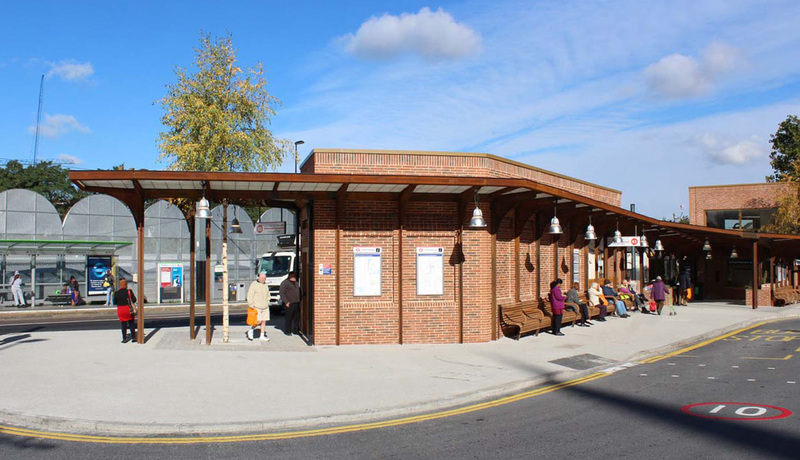 The new bus station was designed by TfL's in-house team. They ensured the new low-rise building will make a significant and positive contribution to both the immediate environment and the wider Croydon town centre. And finally. In order to provide a comparison of what the new structure has replaced. 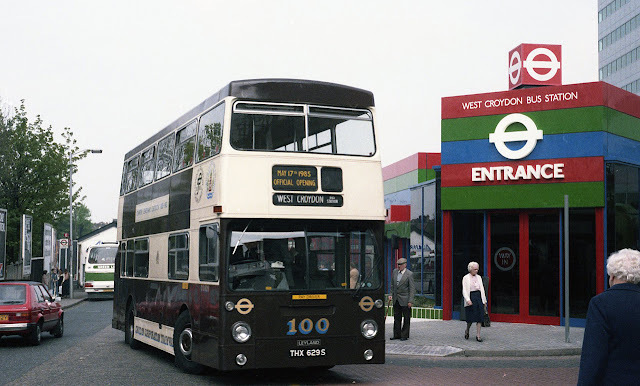 Herewith an image of the opening day of the then new bus station back on 17th May 1985, 31-years ago. A special appearance was made by Leyland Fleetline DM 2629, which had been previously decorated in a livery to celebrate the centenary of the Croydon Corporation Tramways.